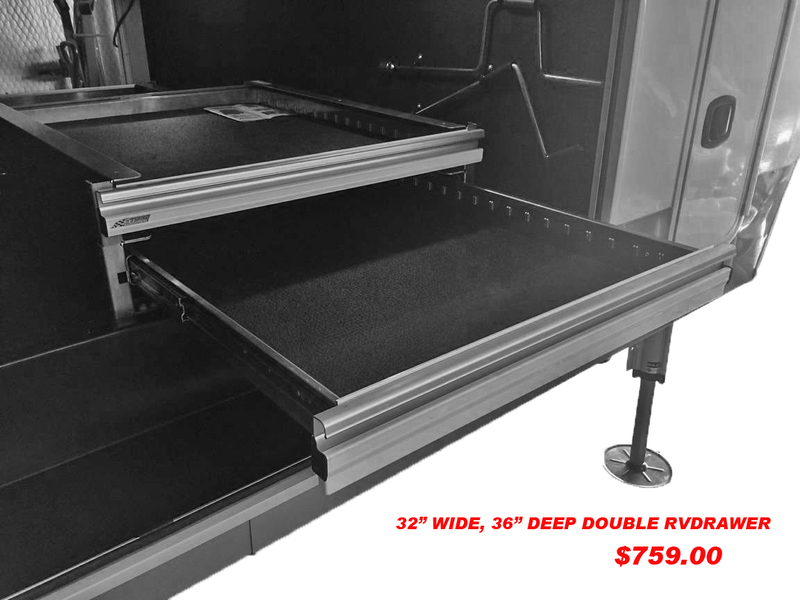 The double drawer assemly is installed in a 5th wheel storage area allowing easy access to items stored. 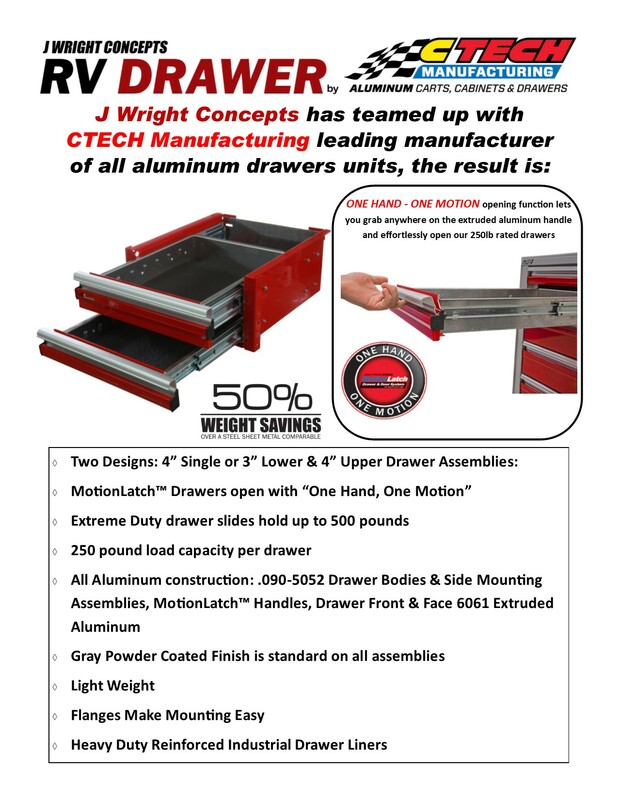 Our 36" deep Drawer Assemblies can be mounted on each side of the storage area. Stacked Drawer Units can be made to fit your compartment. This is as example of a 6-drawer unit in our Class A Motorhome compartment. 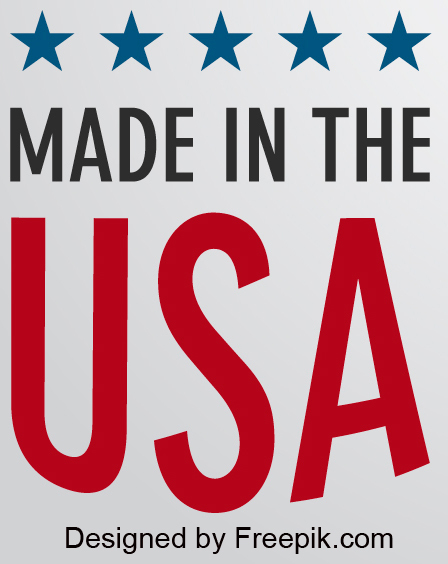 All we need is the overall width, depth and number of drawers to get you the price. 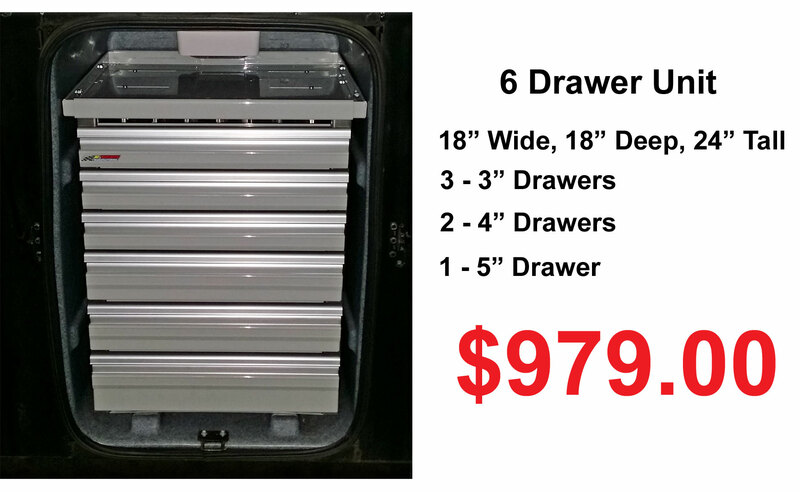 Drawers are available in 3" to 12" tall, up to 48" wide and 72" deep.